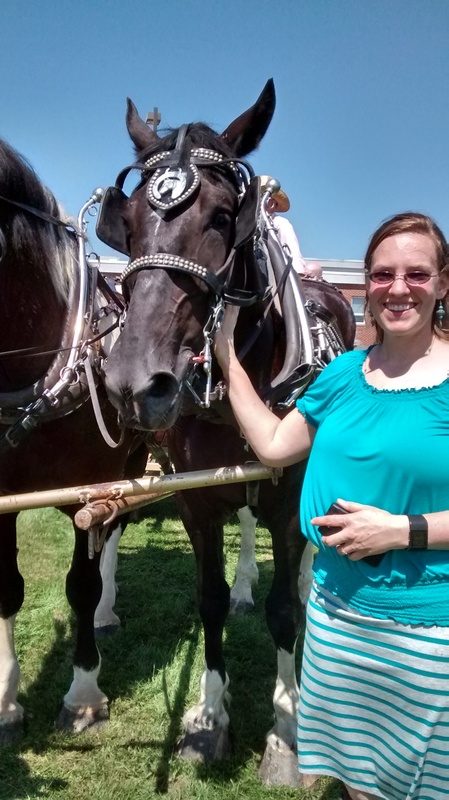 My soon-to-be daughter in law and I went to a nice event, Rural Life Festival presented by Newburg United Methodist Church in the town of Newburg. Newburg is a little village 6 miles out in the country at the base of the Tuscarora Mountains, part of the Appalachian chain, in an area where there is rolling country full of farms and also where a lot of our plain neighbors live. In this rural area of ours, many people remember older ways of doing things, and many still do some things in those old ways. That steam powered tractor above went rolling by as Eliza and I sat under a pavilion eating BBQ chicken and talking to an Amish couple. The man said the tractor was from the early 1900’s and was probably modern then! 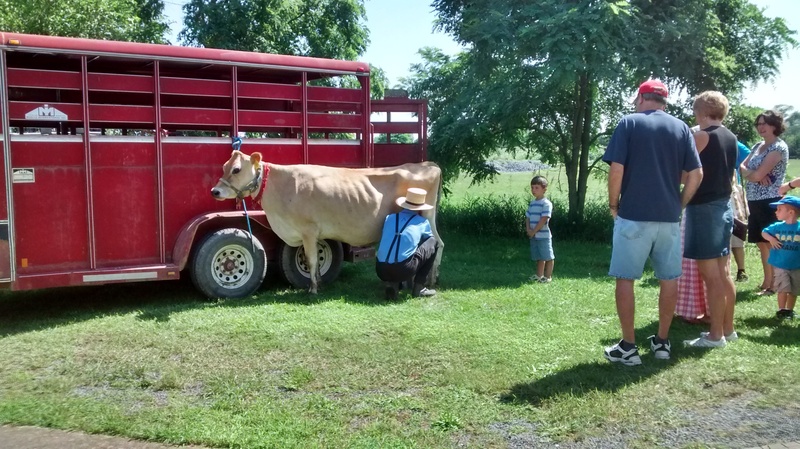 This festival was a wonderful look back at our early agriculture and the ways of life before everything got modern. I remember when I was a kid, our whole family would get together for the butchering of a hog. It was a whole family affair, cos it was a lot of work. Grandma always made the kids stay in the house till the hog had been killed; said if we pitied it it would take longer to die. 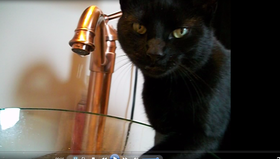 I think she just didn’t want us seeing that process, since we were going to be eating some of the butchering products. The smells were wonderful and I smelled some of that same stuff today. They were making scrapple at the Festival, and if you didn’t come from around here, you don’t know what that is. It’s one of the things made from less valuable parts of the hog, cos when a hog was butchered, almost all parts of the animal were used. They also made puddin on butchering day, and ground some of the meat for sausage, and back then they used the intestines for the casing. The hog was cut apart for the different roasts and chops etc, and some parts were prepared for smoking, to make bacon, etc. The meat of the feet was often picked along with the meat of the tongue, to make another product called souse. Once the hog was killed, he was placed in a scalding trough to remove most of the hair. I remember we were allowed to come out of the house after this was done and the animal was hung up to scrape the rest of the hair and begin the butchering process. 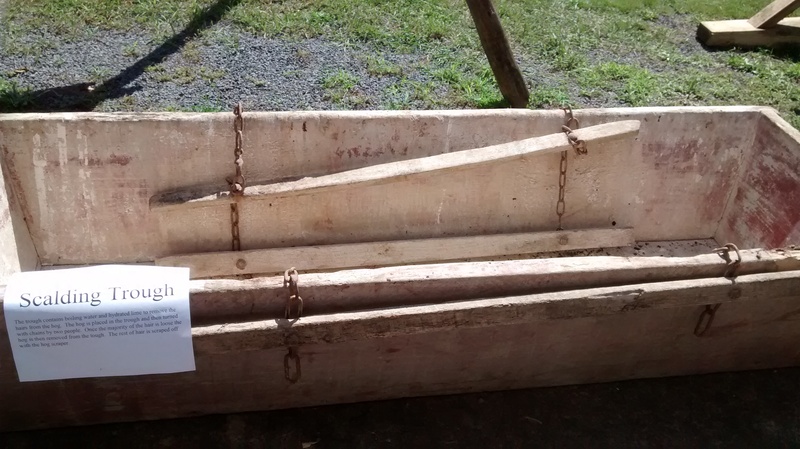 This trough was at the Festival, and is probably still being used. 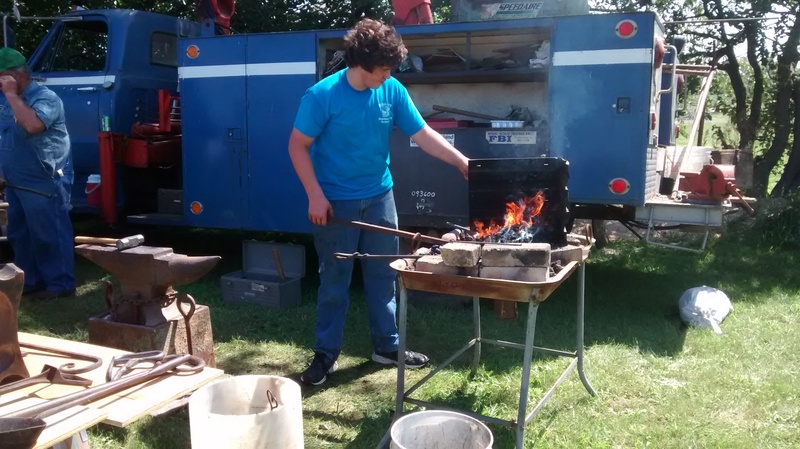 They had a blacksmith working. And an Amish man milking a cow. Some people have never seen that. 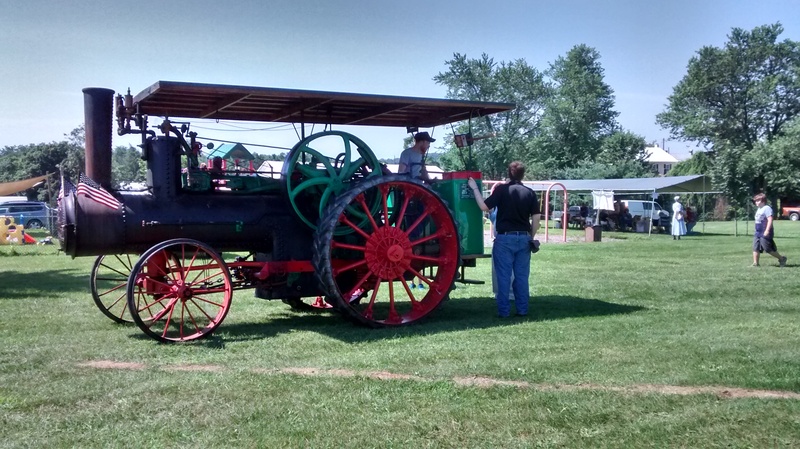 And there was antique farm machinery all around, tractors, engines of different kinds and even a hay baler working. (Rectangular bales, not the big round ones of today, which definitely takes a big modern machine. One man could handle the old rectangular hay bales, and had to be able to do that.) 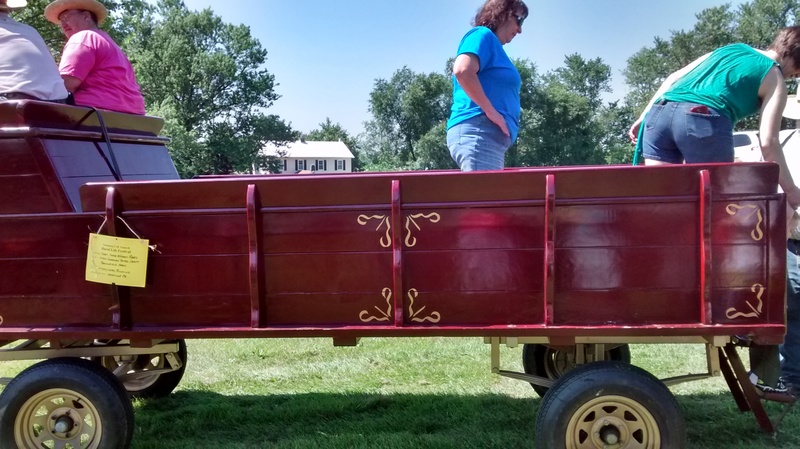 There were lots of horses, including a team pulling a beautiful old wagon that we took a ride on. 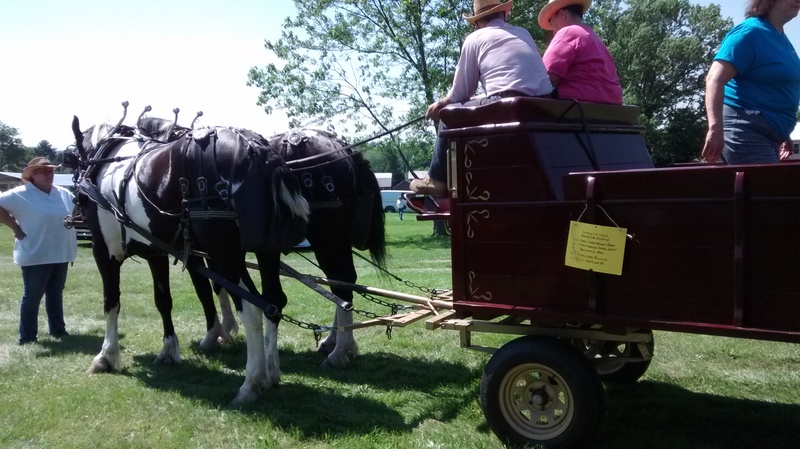 Other horses were tied in an out of the way corner, near their buggies, from Amish people visiting the festival. Eliza likes horses, a lot. 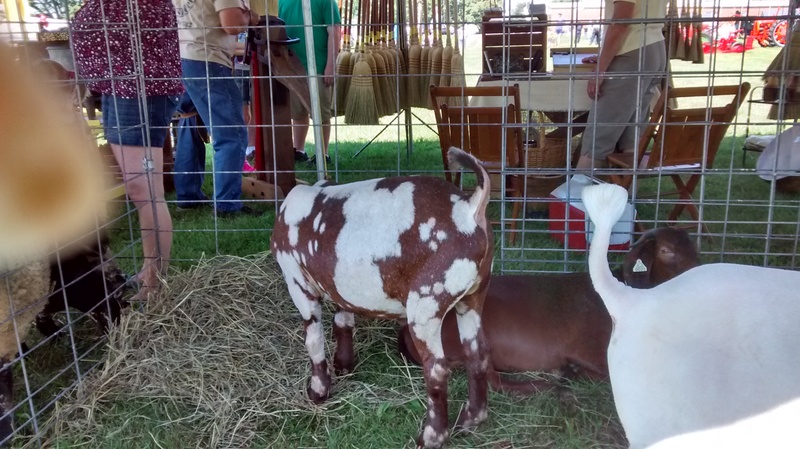 There were sheep and goats, a broom maker, and some ladies were spinning wool. 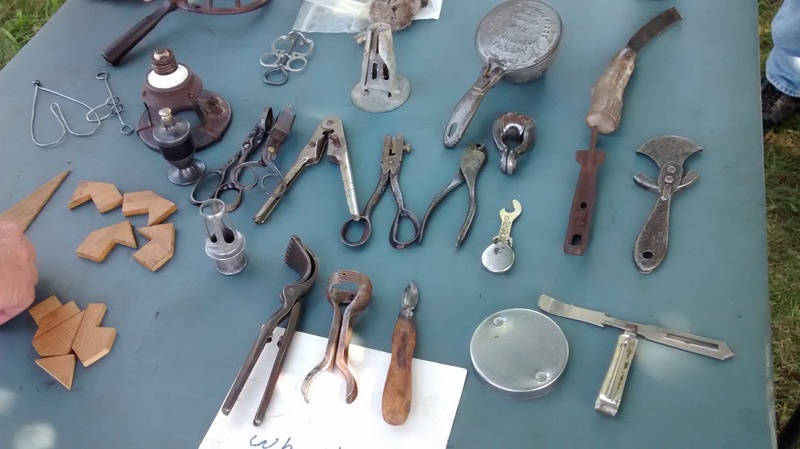 These things were all modern way back early in the last century, as the Amish man said. And it’s good to look back now and either remember, or learn, about a different way of life. It’s an annual festival and if you’re from here or traveling to here, you should go next year. Oh yea, and get the BBQ chicken! Thanks Jackie, we did, and it’s a laid back feeling, just roaming around. And so much to see and learn! And for some of us old(er) folks, remember some of. It is, and we live right in the area where this is still the way of life of many people. Cities are nice to visit, but I like it here at home in the (mostly) peaceful valley. Good that everybody likes different things so we are not all living in the same place!!!! I am a city girl who enjoys visiting the country! Yes, to each their own! “Scrapple made from the less valuable parts of the hog”… I know all about scrapple haha Looks like you and Eliza had a great time! We did, it was fun and we just strolled along. I won’t touch puddin, cos it’s a pile of grease. But a little scrapple now and then is ok, sliced thin, fried well and add syrup. Not everyone agrees: some people that live here won’t even eat it. Souse is good too, tongue souse, if it’s made right. There’s an Amish company in Lancaster that supplies plain stores around here and makes really good stuff. I like their souse. Some won’t agree on that either. Dylan wouldn’t touch it with a fifteen foot pole, lol. Looks like a lovely day! Craving BBQ chicken now and it’s 1am where I am haha! Sorry about that, but maybe you’ll be BBQing some soon! It was a lovely day, and a good look into another time.